Sun Tzu's Art Of War has been essential to the victory of ancient Chinese armies and has formed the basis of many military warfare and business tactics. Did you know they apply to trading as well? Today, it is said that Sun Tzu's Art of War is studied by military officers from West Point. The military strategies and tactics has also been incorporated into business tactics to overcome obstacles and be more profitable. I was wondering if you could turn a military tactic into business stratagems, could it also apply to Trading? 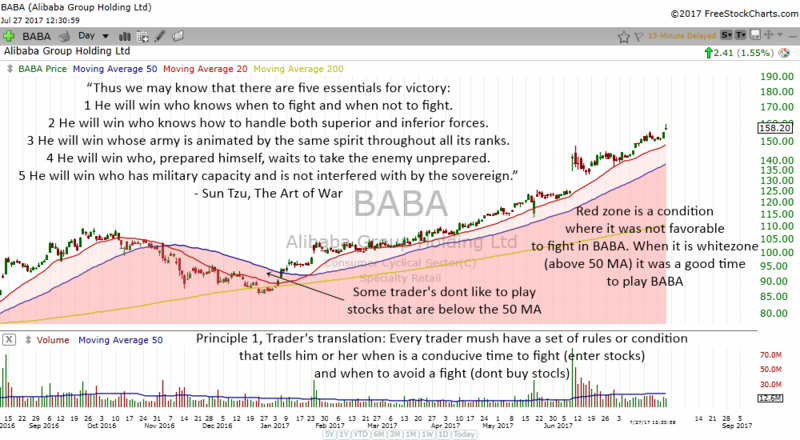 I soon discovered that the principles that were found in Sun Tzu's Art of War can actually be applied into trading as well. So, in this article I will look at the "5 Essentials Of Victory" and how it can be applied to trading. Below is the actual quote from Sun Tzu's 5 essentials for victory. 5 He will win who has military capacity and is not interfered with by the sovereign. 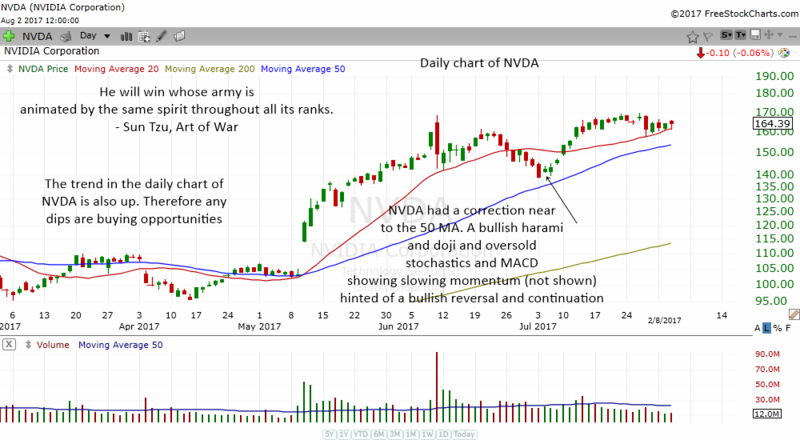 I have actually wrote and commented on this much earlier somewhere, so I will be recycling some of the charts and illustrations and put them here. As a trader or even an investor, knowing when to enter and when not to touch stocks is equivalent to Sun Tzu's principle of knowing when to fight and when not to avoid fighting. Even martial art experts will tell you that the first thing you want to do is to avoid confrontation whenever possible. We do not want to be fighting all the time because war and fights will utilize a lot of resources. In a trader's world, your capital is your resource and if you put your capital in every stock that looks good, you end up with no resources when a great stock appears. Principle 1 (Trader's translation) : Every trader must have a set of rules or condition that tells him or her when is a conducive time to fight (enter stocks) and when to avoid a fight (don't buy stocks). Many successful traders will have some set of rules or strategy that will tell them when to enter and exit stocks. A good trader will not just look at any stock and enter the stock. Usually they will have some kind of setup that appears before committing their capital into the trade. Which also explains why many people who follow tips and advice from others rarely succeed in the stock market. To be successful, you need a set of strategies or rules that is crafted specifically for yourself. One of the ways that I filter stocks of when to enter or not to enter a stock in a particular time frame is to see whether the stock or index is above or below the 50 MA. If the stock is below the 50 MA in the particular timeframe, I will be very cautious and will usually not enter the stock until it goes back above the 50 MA. I make it easier for myself to see the conditions by coloring the conducive time to long stocks with white area and the not so conducive time to enter stocks red. 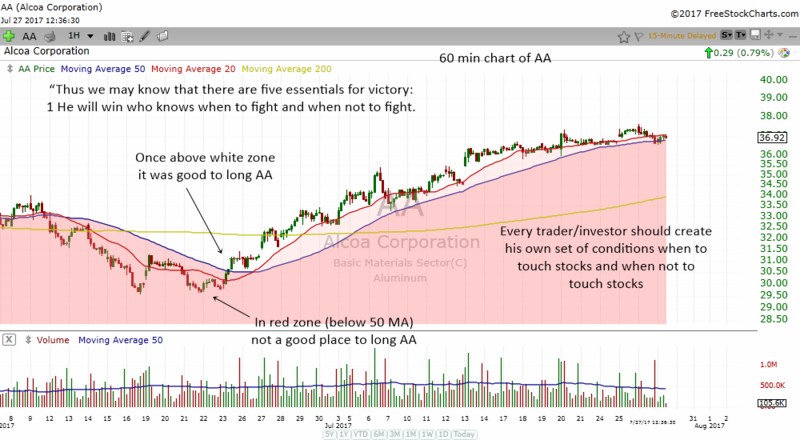 The chart above shows the 60 min chart of AA. 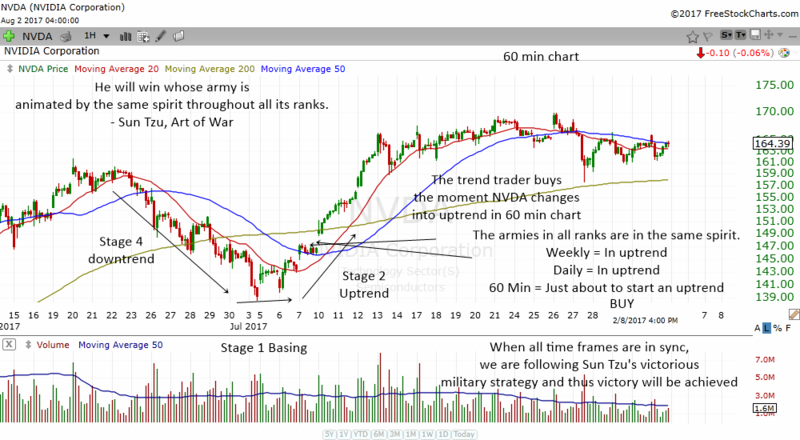 I use the 60 min chart to determine the short term trend of stocks for 1-2 weeks. 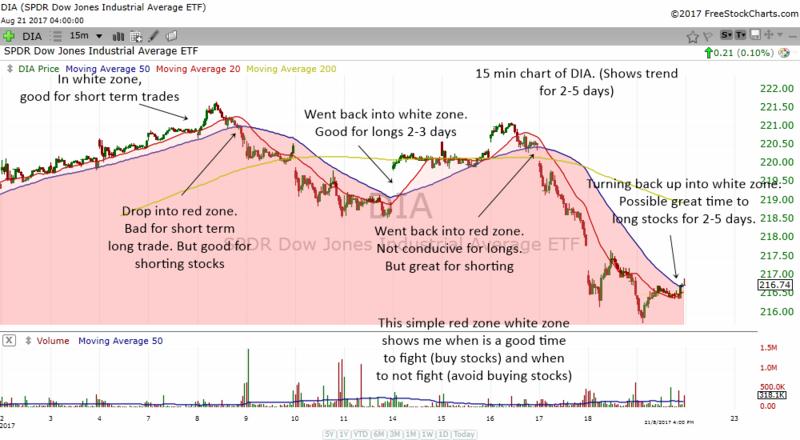 When the stock is in the red zone in the 60 min chart, it is not conducive for us to buy the stocks and hold them for 1-2 weeks. Only when the stock goes back above into the white zone, it is conducive for us to long stocks. The chart above shows the daily chart of the S&P 500 index. When the index is in the red zone, it was not conducive to long stocks. 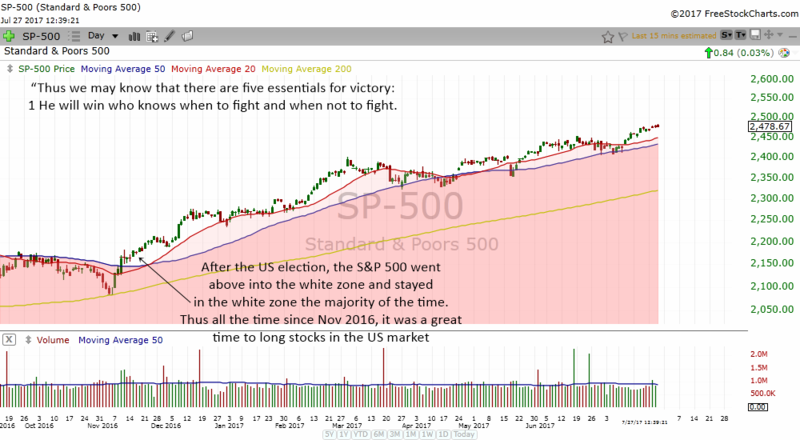 When the index went into the white zone around November 2016 after the US Presidential election, the system showed that it was very conducive to long stocks in the US stock market. You can see how the index stayed above in the white zone most of the time. During this period, the stock market went up and have a nice gain. What about short term swing trades of 2-5 days? Well, I like to use the 15 min chart for that. I do the same thing with the chart and color the zones white or red. The chart above shows when is a conducive time to long stocks and when is a conducive time to short stocks. When you have a simple system that tells you when to fight and when to avoid fighting, it will really help you to avoid big losses and make profits in the stock market. 2. He will win who knows how to handle both superior and inferior forces. There is a superior trend and an inferior trend. It is better for a trader or investor to find a stock that is in a superior trend if he or she wants to make money easier. Stocks that are making an all time high have clear blue skies ahead. Stocks tend to go up for a reason. When the stock is at an all time high, it may be because the company is doing very well. Sometimes it surprises investors to see a stock making an all time high going even higher by the end of the year. Its not uncommon to see a tech stock that is $40 making a new all time high and by the end of the year, the stock moves up to $80, which is double the previous all time high price. Stocks that are making an all time high also have less resistance overhead compared to stocks that start an uptrend after a prolonged downtrend. Actually stocks at new highs have no resistance overhead. 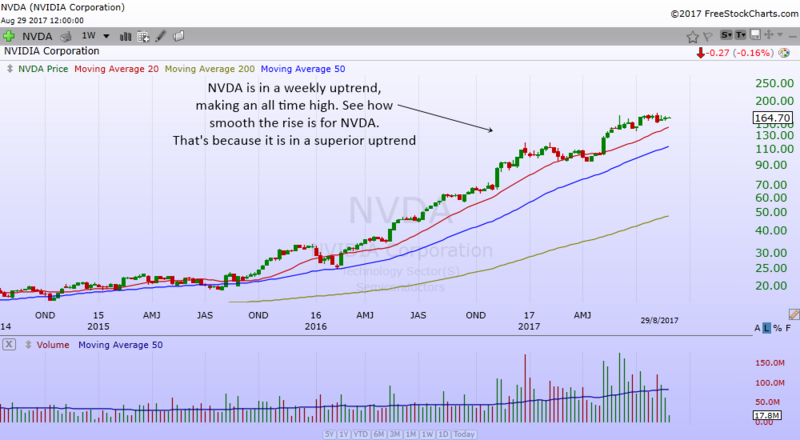 Finally, a stock that is in a weekly uptrend is in a stronger trend than a stock that is in a daily uptrend. That's because a longer time frame shows the bigger picture and the long term trend. 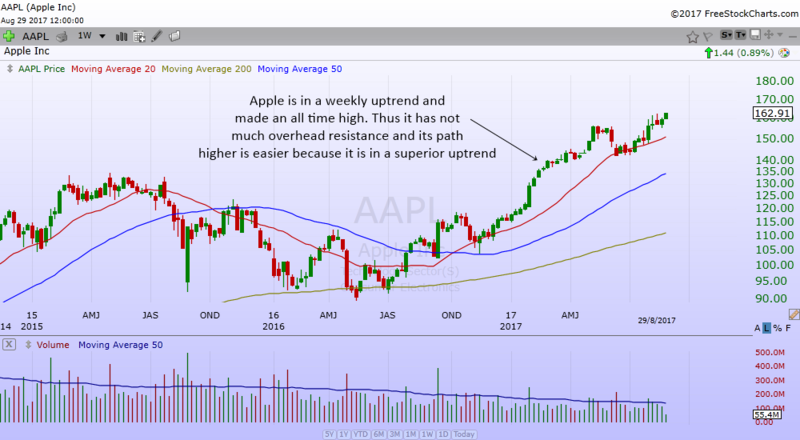 If the stock is in a weekly uptrend, the stock is bullish in the long term. 3. He will win whose army is animated by the same spirit throughout all its ranks. If the whole army is in the same spirit and they work together complementing each other very well, the general can mobilize his army better and achieve victory swiftly. In the stock market, the times when everything is in sync is the best time to make money. 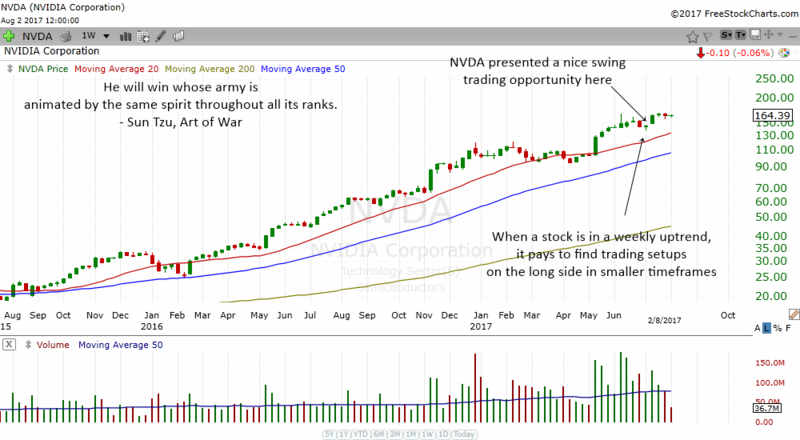 It is best to put your money into a stock that is in a stage 2 uptrend in multiple time frames. What this means is you should enter when a stock is in a weekly uptrend, daily uptrend, hourly uptrend and preferably in an uptrend in the 15 min or 5 min chart. If this sounds confusing at first, check out my article on Multiple Time Frame Analysis. 4. He will win who, prepared himself, waits to take the enemy unprepared. While it is difficult to find a physical enemy in the stock market today, nevertheless the trader should always prepare himself to fight. I suppose we could say that there is no physical enemy for the majority of traders. Usually its just the screen, the stock chart, the computer tools and the trader and his internet connection. The trader works in his own space and trading can sometimes be a lonely affair. There are two gems of wisdom we can find from this proverb by Sun Tzu. With regards to the 1st point, there is another wise saying I found somewhere. "If you fail to plan, you are planning to fail". That is the truth when it comes to trading and for most important things in life. With regards to the 2nd point. The stock market is always taking traders and investors by surprises. Just when you think everything is smooth sailing, some bad news comes out and the market tanks or your stock gaps down. Some people are known to have lost half their portfolio overnight because of situations like this. A good trader will never be hurt by any unexpected situation or bad news. The way he or she trades and execute positions have already a build in system that will keep their account from being ruined. If you look at traders who blow their account, it is usually because of overconfidence and taking too big a position relative to their account. Therefore, a good trader has some special built in money management rules that protects his capital. In the end, the stock market never fails to takes most people unprepared. There will always be situations that go beyond what we expect. But a good trader will always have proper risk management and money management. Any event will never be able to take your account by surprise and blow it up. Legend has it that many capable generals in China who know the rules and art of war are often contradicted by fickle sovereigns. For instance, it may be wise to swiftly attack an enemy rather than delaying the attack. However, the fickle mindedness of the king makes the military campaign delayed and thus the enemy is able to run away because of the delay of half a day. When it comes to trading (which is one of the hardest way to make easy money in the world LOL), a capable trader will try and identify what are the sovereigns in his or her life that is interfering with his or her trading decisions. A spouse that is not supportive. Complaining about the risks and making lots of problems that interfere with the emotional stability of the trader. It is important to note that this proverb from Sun Tzu addresses the capable general who is interfered by a "sovereign". Thus a talented trader will often find that his or her "sovereign" is a demanding "individual" who does not support the trader emotionally. You will often find that the people around us sometimes are the most problematic people who smashes the dreams of a trader. They are the ones who can impact the bottom line of a trader more than you think. Imagine a successful trader who just transitioned to trading at home but the wife is not supportive and keep on complaining about issues just before the start of trading hour. Trading like warfare requires intense skill and concentration. If a "sovereign" interferes with your trading or investing, it is time for you to take hold of the problem and deal with it accordingly. This is a very big reality when modern fast internet allows talented traders to go out on their own and trade in the comfort of their home. The art of trading is very much alike the art of war. Why is it that we take military strikes and campaign seriously but when it comes to our own hard earned money, we never ever plan and follow rules? If the best traders in the world treat their trading in a professional businesslike or battlelike manner, aspiring traders should also follow in their footsteps. Learn from the wisdom of the ancients and prosper from their advice.